Many gardeners dream of sunshine, of borders overflowing with flowering perennials and sun-loving shrubs. This especially holds true for people who are moving to the Puget Sound area from the sunny states of California, Arizona and others. Faced with the gorgeous and tall native cedars, hemlocks and Douglas firs, not everyone can embrace the mossy environment in their shadows. 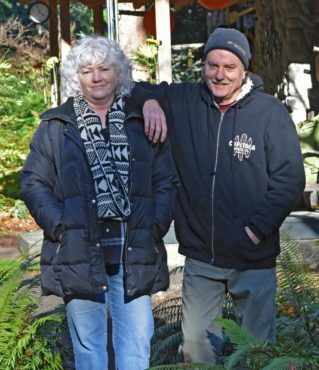 Dave and Lori Gibson were not daunted by the big change in conditions their move from California to the Pacific Northwest entailed. 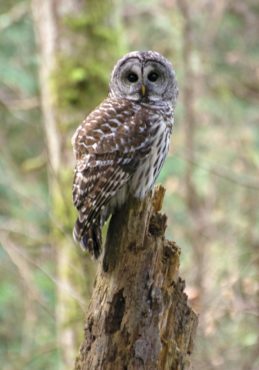 They gladly traded the heat and drought of California for the lush, emerald coolness of the Pacific Northwest when they retired in 2011. 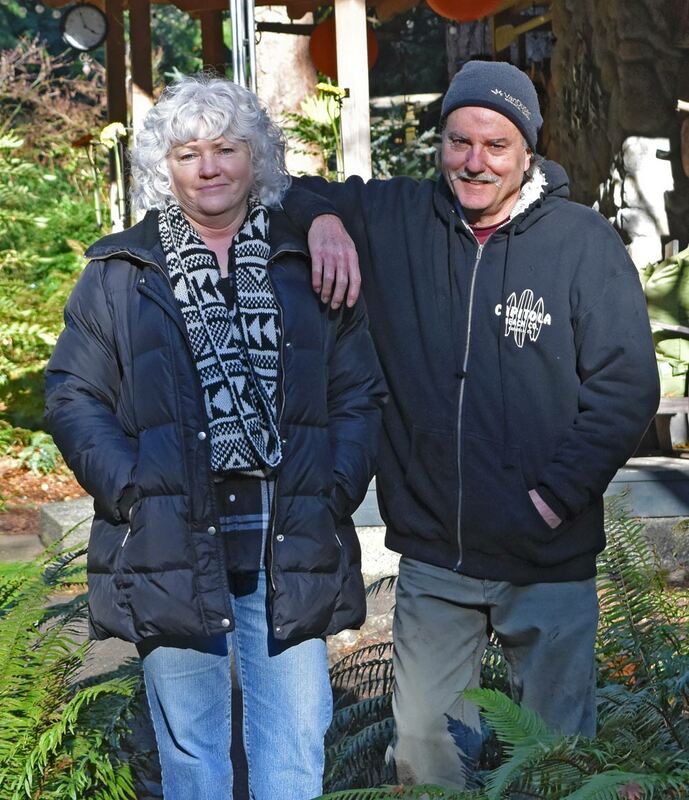 They found a home on Bainbridge Island, a stone’s throw from Rich Passage, visible from their front garden during the leafless months of winter. The Gibsons were lucky to adopt a garden whose previous owners spent considerable effort in developing interesting hardscapes. A stone labyrinth provides a space for contemplation and creates contrast to the plantings that surround it. 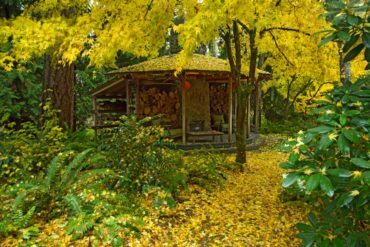 Paths and a stone bridge invite a ramble through the garden, under the beautiful cedar trees and a red alder grove whose silver trunks brighten the understory. 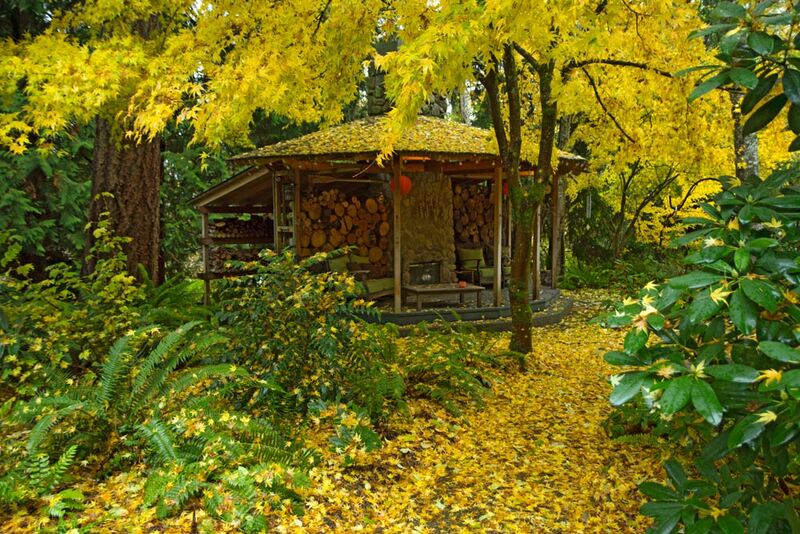 A unique gazebo with a cross-cut log wall and a fireplace is welcoming in any weather. The original understory used to include many Acer palmatum (Japanese maples), purple rhododendrons, native ferns, salal and Vaccinium sp. (huckleberries). 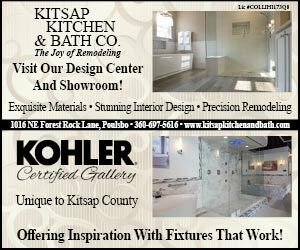 Dave Gibson’s professional background as a contractor and building inspector was invaluable over the next year as the couple embarked on house renovations. The home improvements allowed time to adjust to the new climate and learn about the local growing conditions, as well as the property’s microclimates, challenges and strengths. Ideas for the garden germinated and the vision for its possibilities came into focus. Gibson embraced the shade and began to create an amazing woodland garden. Loads of compost and three-way garden soil mix were brought in to create more hospitable growing conditions under the mature tree canopy. To ensure the continued health of the established trees, the couple were careful to not smother the trunks and damage the roots. Large downed logs and boulders created nooks for the plants to nestle into and serve as habitat for one of Gibson’s passions: moss. 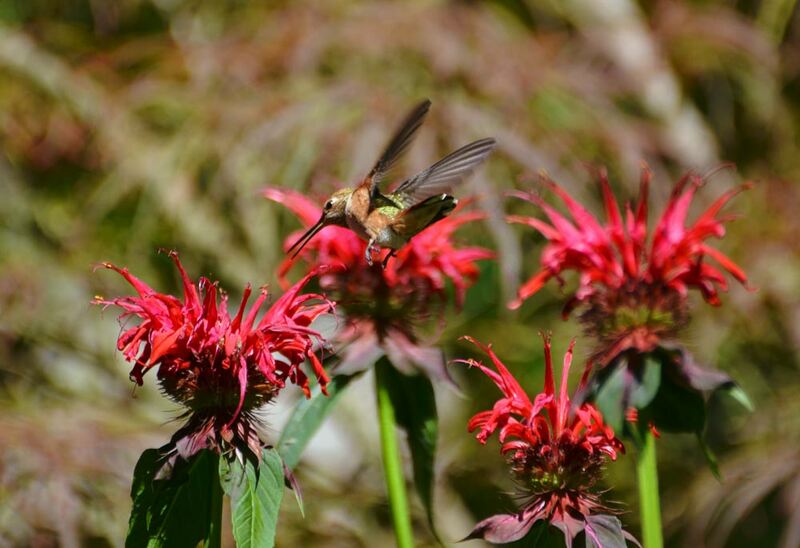 The garden is a magnet for wildlife. Although the vegetable garden has been fenced off from deer, most of the garden is open and often visited. Deer generally avoid ferns and rhodies, and the visits are welcome. Owls and woodpeckers find snags for nesting, and hummingbirds never run out of flowering plants to feed on. Many of the Acer palmatum and the original rhododendrons were replaced by other plants, such as Parrotia persica (Persian ironwood), which turns beautiful colors in the fall; Stewartia pseudocamellia; and many varieties of rhododendron, from the tiniest of the genus Rhododendron megeratum ‘Bodnant form,’ to some of the largest, such as Rhododendron sinogrande and Rhododendron rex, whose first flowering is eagerly awaited this year. A collection of Arisaemas (cobra lilies), primroses, various Epimedium sp., Helleborus sp., Beesia sp., Daphne sp., Edgeworthia chrysantha, hardy fuchsias, beautiful hybrid Mahonia ‘Charity’ and many others complete the picture. 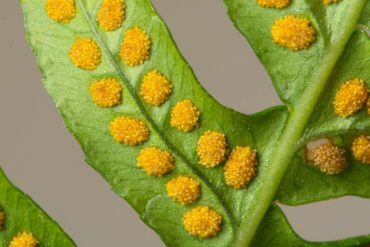 After taking a few classes and reading Sue Olsen’s “Encyclopedia of Garden Ferns,” Gibson was bitten hard by the fern bug. The garden became the home to about a hundred hardy fern varieties within two years. Today, the garden hosts close to 200, and he knows every one of them well. The subtle variations among ferns are amazing, and it is a treat to see so many in one place where the differences can be noticed. 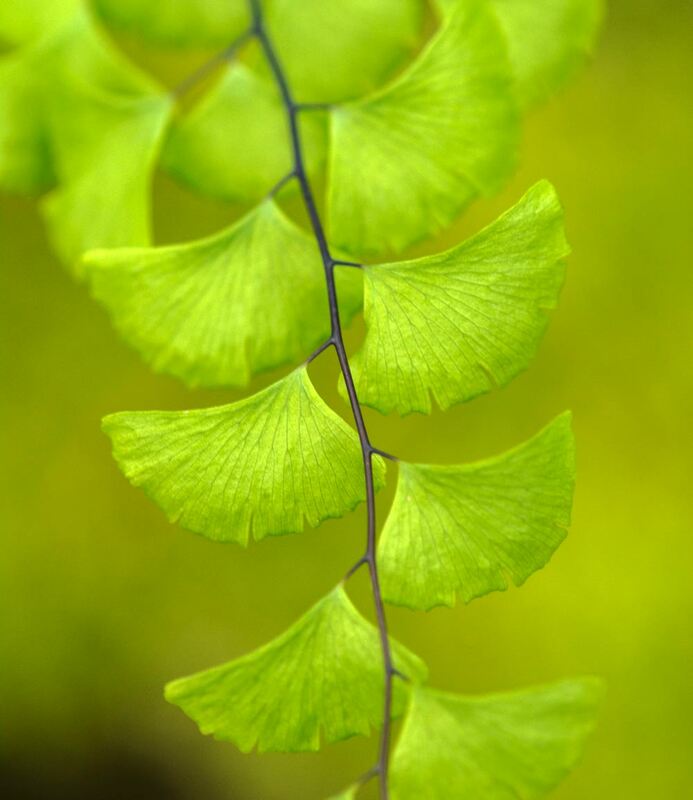 Gibson says his favorite are the Hart’s tongue ferns, but while walking among the woodlands, it is quickly obvious that every one has a special place in his heart, like the Cyrtonium (holly fern), Pyrrosia linqua var. Kei Kan, Pyrrosia sheareri, kangaroo fern, carrot fern, Woodwardia unigemmata, olystichum tsus-simense (Korean rock fern) and even an unnamed fern from Dan Hinkley’s collection. 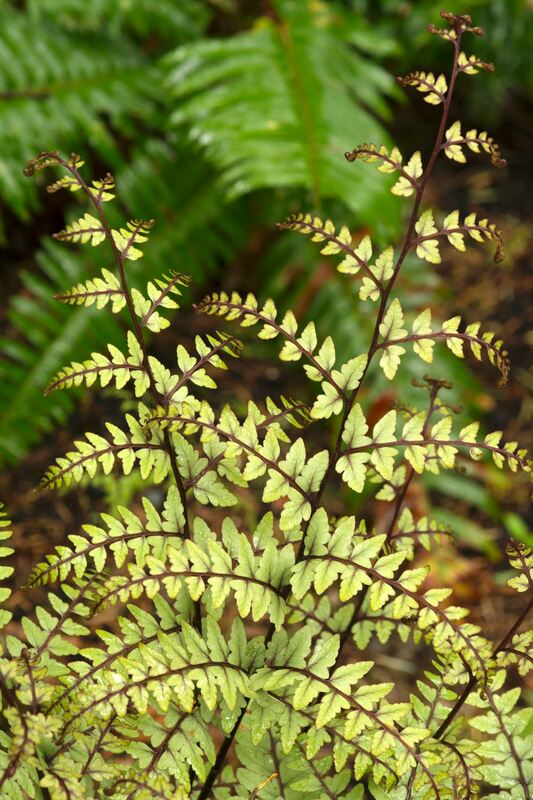 A Woodwardia orientalis, an Oriental chain fern, is a fun surprise with fronds completely covered by plantlets that can be set out in the garden to grow new ferns. The garden keeps evolving, with a wonderful area in the rear garden evolving into a stumpery. While ferns have species-specific growing requirements to do their best, they are quite hardy once established. 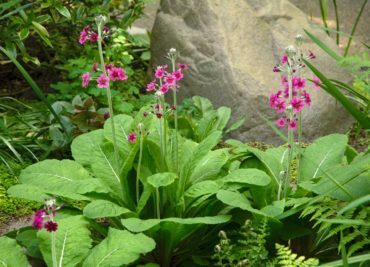 Just think of the native sword ferns: They can be found in the deep and dry shade of Douglas firs, in rock walls in full sun and sprouting in a gravel path, as well as in rich garden soil. In general, ferns thrive in evenly moist soil rich in organic material and in filtered or morning sunlight. They really seem to enjoy having their roots snuggle against a cool rock or a moist, rotting log. 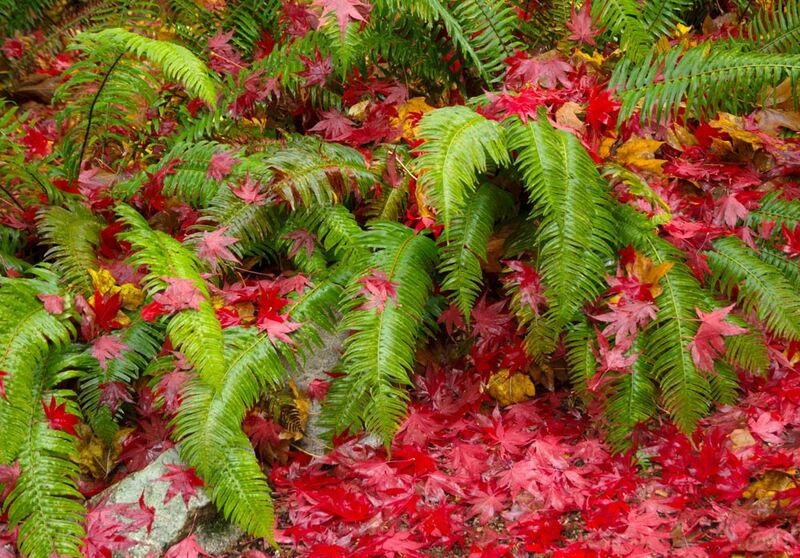 Gibson prunes back the foliage of deciduous ferns in late fall and spreads a 2-inch layer of compost over the garden. During the dry, hot summer months, he uses overhead sprinklers a couple of times each week to keep the woodland plants content. 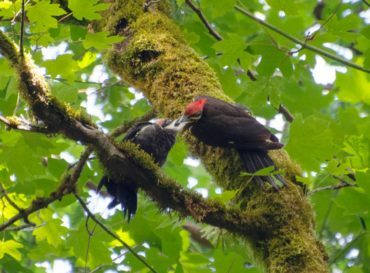 Slugs are the main pest and he battles it with Sluggo but limits its use to February in order to minimize its exposure to birds. The Hardy Fern Foundation has had the most influence on Gibson’s fern knowledge. 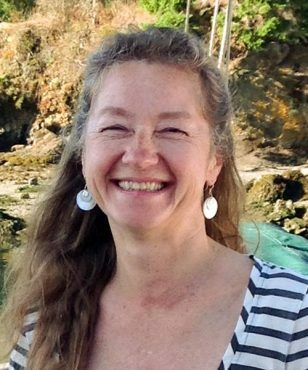 Started in 1989 by Sue Olsen and other fern lovers from the Seattle area to learn and share knowledge about temperate ferns, the foundation has grown in its reach around the world. 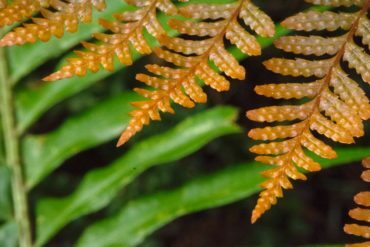 The website (www.hardyferns.org) contains wonderful information for anyone interested in broadening their knowledge about this group of plants. Gibson joined the group and was recruited to serve on the board. While Lori Gibson humbly says that her contribution to the garden is to help feed Dave’s plant passion financially, she is a wonderful gardener in her own right and enjoys working in the sunnier spots like the vegetable garden. She likes flowering plants such as roses and peonies, and has a new appreciation for gladiolus. She does have a favorite fern, the stately Polysticum polyblepharum (tassel fern). Both Lori and Dave Gibson are Master Gardeners and coordinate the farmers market Master Gardener clinic booth on Bainbridge. They serve on the Bainbridge in Bloom committee, and Lori volunteers at the Bloedel reserve and Heronswood garden. She also helps coordinate the Johnson Farm p-patch. 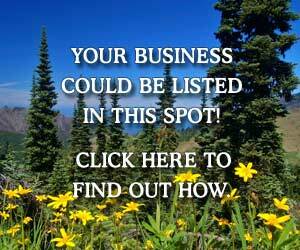 Jumping into the world of ferns is not difficult in the West Sound region. 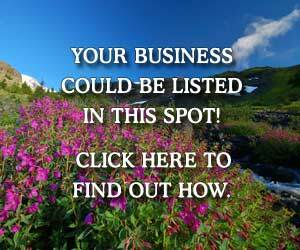 You have many opportunities to broaden your knowledge through lectures, garden tours, nurseries and publications. A wonderful sampling of the world of ferns can be seen at the Bainbridge Island library garden. John van den Meerendonk, past president of the Hardy Fern Foundation, installed this collection. Dave Gibson helps with the maintenance and the garden has prospered under his oversight. The Heronswood garden in Kingston is another stellar garden with many wonderful ferns and woodland plantings to delight in, including gorgeous tree ferns, royal ferns and new introductions that visitors are unlikely to find anywhere else in this region. 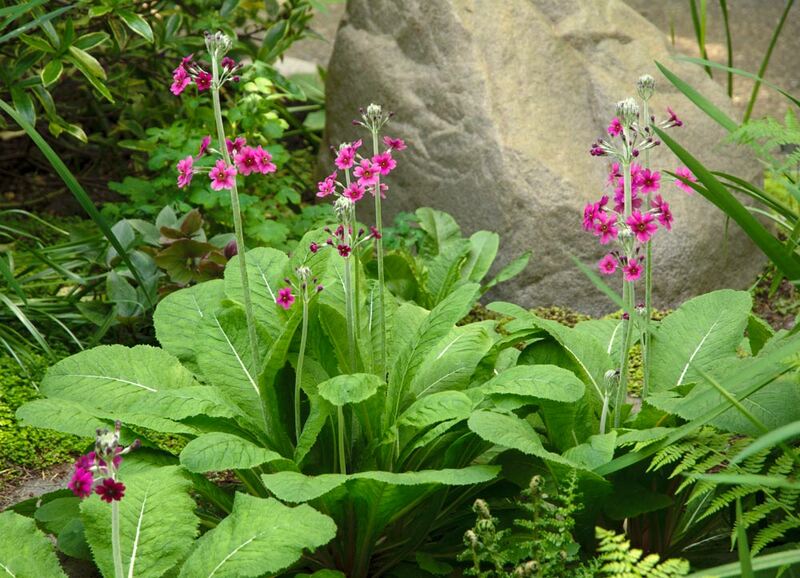 Both gardens are a great learning resource, with plant labels to aid in plant identification. 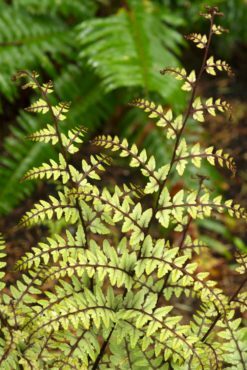 The Hardy Fern Foundation brings a large selection of ferns to the Master Gardener plant sale at the Kitsap County Fairgrounds the Saturday before Mother’s Day. 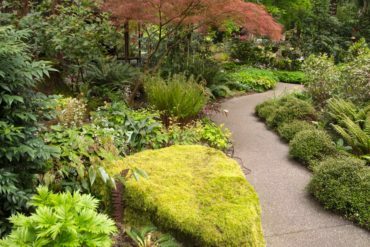 The Fern Festival at the Center for Urban Horticulture in Seattle in early June is the foundation’s main event and is not to be missed. 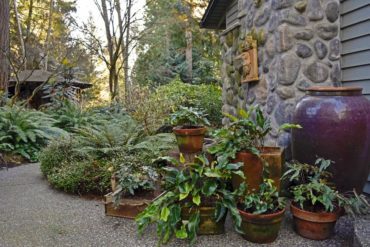 Sundquist Nursery (a mostly wholesale supplier in Poulsbo) offers a great selection of ferns during its Open Days, and many fine growers bring their plants to the Open Days at Heronswood and other garden events. 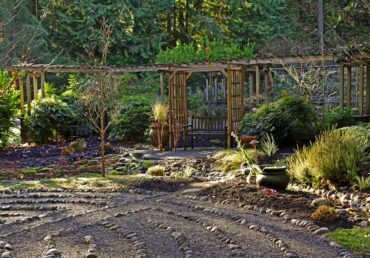 Far Reaches nursery in Port Townsend is also worth a visit when searching for the unusual, and has a website with helpful growing information. Further afield, the plant lover can visit the gardens and nurseries in Oregon along the Interstate 5 corridor (Oregon Garden in Silverton, Sebright Gardens in Salem), as well as Fancy Fronds nursery by Goldbar, Washington (mostly an online nursery). Plant Delights nursery (online) carries a wide collection of ferns. Dave Gibson recommends the “Fern Growers Manual” by Barbara Joe Hoshizaki and the “Encyclopedia of Garden Ferns” by Sue Olsen for comprehensive fern-growing information. For amazing fern photos and more fern information, check out “The Plant Lover’s Guide to Ferns” by Richie Steffen and Sue Olsen.